Single unified notifier app to track many Restyaboards. Available in AppStore. To import the existing boards from Trello. Import data from Wekan. users, labels, attachments, issues and comments. To import the existing boards from Taiga. To import the existing boards from Kantree. To create a new board to manage. To create a new board with existing template for quick launch. To duplicate the existing board with new name and members. To create a new organization with its description. To edit an organization title, website and description. Attractive interface to view and manage organization's boards and members. To change the visibility mode of the organization at any time. To search and add members in organization. To remove members from the organization and their access in boards of the organization. To manage and change the permission of a member in the board. To delete the organization permanently. Simple view of overall boards and their card count with status. 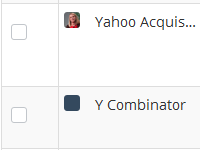 Board listing having three different filters. Starred boards, closed boards and my boards to filter the boards easily. To change the visibility mode of the board. Modes are public, private and an organization. If set to public, other users can access the board, private means only the members added to the board can access and organization means all the members of the organization can access the board. Cards are in grid format on board view. Cards are in list format on board view. Cards are in calendar format on board view. And changed colors in calendar to lighter shades comparable to the site theme. Cards are in Gantt chart on board view. 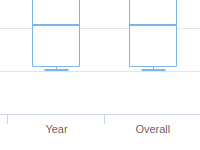 Reports of cards are in report chart on board view. 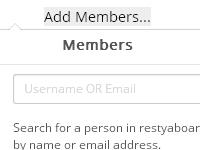 To search and add members for a board easily. To invites members for a board easily. To quickly view of board members with their roles in board. To set the visibility mode of the board. Modes are public, private and an organization. To change the background of the board view. User can upload a custom image or set a background color. To change the patterns and textures of the board view. To set the custom background of the board, user can able to upload an image from their desktop. Added the new feature that allow users to configure the subscription on cards and boards. To set background music for board view. Music will be play when the user open the board. Star the favorite board. Will be listed under starred boards menu. To synchronize the boards with the Google calender by just copy paste the board link. To reopen the closed board at any time. To easily filter the cards in the board view. Here delete the unused labels from the board. Here delete all archived list items and cards items. Subscribe and unsubscribe UI was changed. 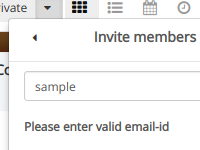 When user is added as a member of a board, he's automatically subscribed to it. To add new list of board. To copy the existing list of board. To move the entire list from one board to another. Now user can change list and card color. To subscribe the list of the board. List of all attachments of the card. User can delete the attachment in the list. To remove the list permanently from the board. Have unique ID for every tasks/cards across all boards. The enterprise requirement. To add card in the list of a board. To quickly add a card in the board. To copy the existing card of board. To move a single card from one list to another list in a selected position. To move all cards from one list of the board to another list. To rename the card and change the description at any time. Display assigned member in card in the list of a board. Here user can change the list card position apply the highlight for another user. User can open card in maximize view by clicking the 'ctrl + click'. Here We can add cards & reply via Email. Now Restyaboard sent notification one day before for overdue cards. Now can use emoji in checklist item. Now, we can convert checklist item to card. For usability reason, added option to perform actions within the card. Markdown support added for checklist items. To view more than one card at a time. To view members of the card. To search and add members to the board. To add checklist and checklist item. Also have option to copy the checklist of another board checklist. Easy to manage the complete checklist item. To manage and view the status of the checklist. Attractive user interface to see the completed percentage of checklist item. To set background image for each card of boards. Helps to differentiate easily. Display cover image in card in the list of a board. To add comment about a card. Also can able to mention the other cards, emoji, boards or users in the comment easily with link. Attachment can be added by three different ways. By manual upload from desktop, choose from dropbox, or directly copy/paste the link of image. To set/edit due date of the card also date will highlight in card view. To add labels for a card, which is used for card filter. Now user can change color of labels. To vote the card and to show the vote count of the card. To remove the vote from a card by click unvote option. Link to share a card. To archive all the cards of a list at one click. To undo the activity which you did wrongly. To remove the card permanently from the board. To search the archived list and card, and easily able to switch the resultant list or card. To show the notification count in favicon. To show the notification count in card according to the activities done by other users on that card. Comments show in nested format. To resize the card view window. To give reply comment for the given comment. To remove comment from card. Here filter the card history activities and comments. Here notification highlight for username mentions. Attractive interface to view and manage user's profile, cards and settings. Attractive interface to view and manage user's created cards and assigned cards. For the new users, the Restyaboard intro video will be shown only one time. To quickly view the latest notification of current viewing board and of all boards. Added a new feature to disable the desktop notification from Restyaboard. Now users can make use of this feature considering their needs. Now user can edit the username on user's profile page. Dashboard with charts for Todo, Doing and Done cards. Admin can see all users activities at one place. 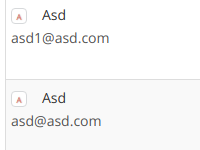 Admin can manage email templates send to users. Admin can manage all site related settings. Admin can manage all admin, users and guest role access. Restyaboard API is exposed through oAuth2 and hence can easily be integrated with other systems. API documentation and debug tool are available at /api_explorer/, powered by Swagger UI. Now admin can select default language and user can select their own language. Now external applications are integrate with Restyaboard. Connected thirdparty applications are listing here and admin can revoke the connected applications as well. Now admin can sort the listing in boards and users. Now admin can filter the listing in boards and users. Here roles management separated from user to individual board & the organization. Added options to restrict users to post comments and subscribe in public boards. For those who prefer to open the card in maximized view by default, can set it in "Default Card Open" setting. 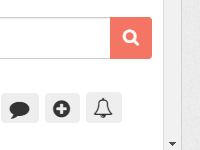 Now we have a searchbox in admin boards and users pages. Import GitHub repositories. users, issues and comments. Generate "access token" for Zapier connection. For Restyaboard theming, website designing or mobile apps. Starting from $35. Hide card additional informations like Card created date, Card created user, Card ID and List moved date. 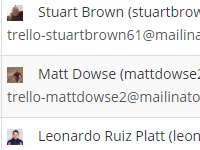 Access your Restyaboard account from your mail inbox and increase the productivity. Access your Restyaboard account by interacting with Hangouts Chat bot and increase the productivity. Auto post your comments to Slack. Access your Restyaboard notifications through Amazon Echo. Note that this is a paid integration. Contact us to get a quote. It provides default display characterstics to the browser to avoid a too abrupt a transition when site resources become available. It provides to add Restyaboard app in home screen in android mobile devices. App to automatically archive cards based on ages. Available through our app platform. Sample app to download all the attachments in the card as zip file. This app is available through our app platform. All upcoming Restyaboard versions will be codenamed after legendary music bands, as a token of respect and appreciation and default board background will be changed to respective band's wallpaper with the help of this sample app. Sample app to utilize custom fields architecture. This app is available through our app platform. Sample app to add users to multiple groups and the group users can be able to board and organization. This app is available through our app platform. Sample app to calculate the spent time on the particular task. This app is available through our app platform. Sample app to add custom fields for handling projects. This app is available through our app platform. Sample app to download all the attachments in the card as zip file for handling projects. This app is available through our app platform. Sample app that allows admin users to send mail for all the members of their Restyaboard about important events,message or show message above the footer when the users login in their restyaboard. This app is available through our app platform. Sample app to export card details from a board as CSV. This app is available through our app platform. Sample app that provides iCal feed URL for loggedin user to sync with Google calendar or any calendar. This app is available through our app platform. Sample app that adds Report view for handling projects. This app is available through our app platform. Sample app to track the spent time on the particular card. This app is available through our app platform. App to add the document page in the Restyaboard for showing the information given by the admin in the wiki app settings page. Available through our app platform. Provided a new property called 'Support Desk App' to enhance customer support, which simply functions as an easy support desk software. It also includes the support widget that captures support requests from users. 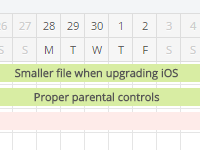 App to set work in progress limit for lists. Available through our app platform. XMPP based chat integrated. This will create chat rooms for each board. Board wise and card wise chat history.